The water counter embodies an HRI sensor. The liter pointer of the counter activates the HRI sensor allowing a basic resolution of one liter per pulse. The output pulse value can be factory set using the divisor D (e.g. D = 100 means 1 pulse per 100 liters). 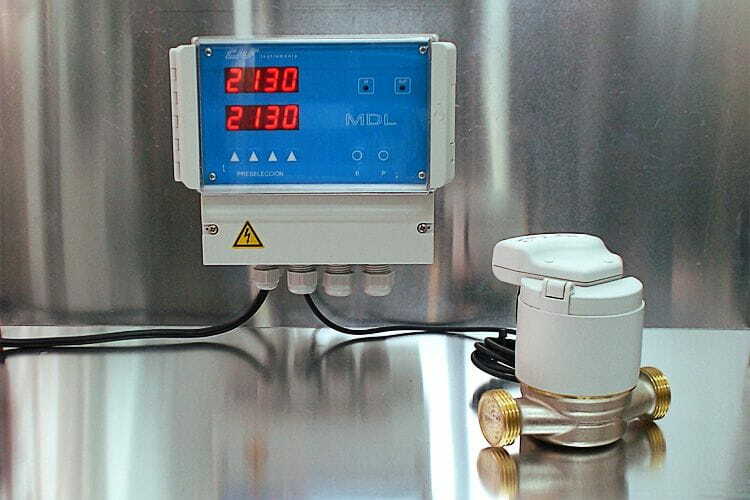 This counter works in combination with the MDL pre-set counter. The counter is either suitable for cold and hot water (up to 90°C). counter are discounted in countdown until zero "0000", moment in which the system is blocked.